Thank you for visiting our website, please contact us for business cooperation! High quality products, and competitively price. 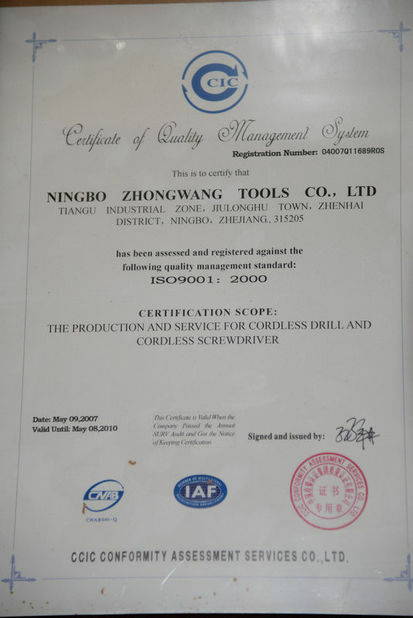 ZHONGWANG is a professional supplier of cordless power tools, and is a reliable partner. I have checked many China factories, finally I chosen ZHONGWANG. As they have professional technical team, high quality products and service. 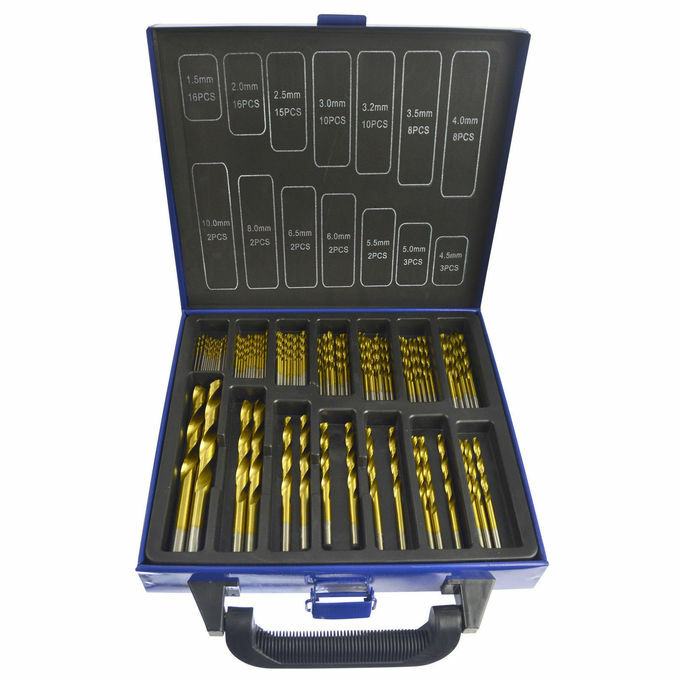 The 99pc High Speed titanium Nitride Twist Drill bit set comes complete with a metal carry case. 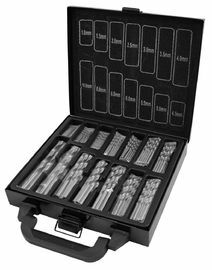 The drill bit tip has a 135° and split point manufactured to DIN 338 for fast, clean drilling with maximum surface quality. Made from high speed steel, ground from solid metal. 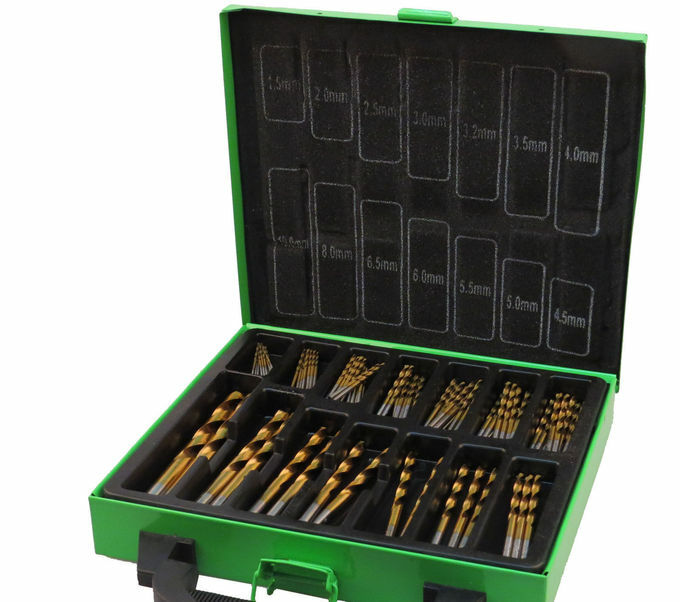 Ideal for drilling different kinds of metals, perspex and hard plastics. 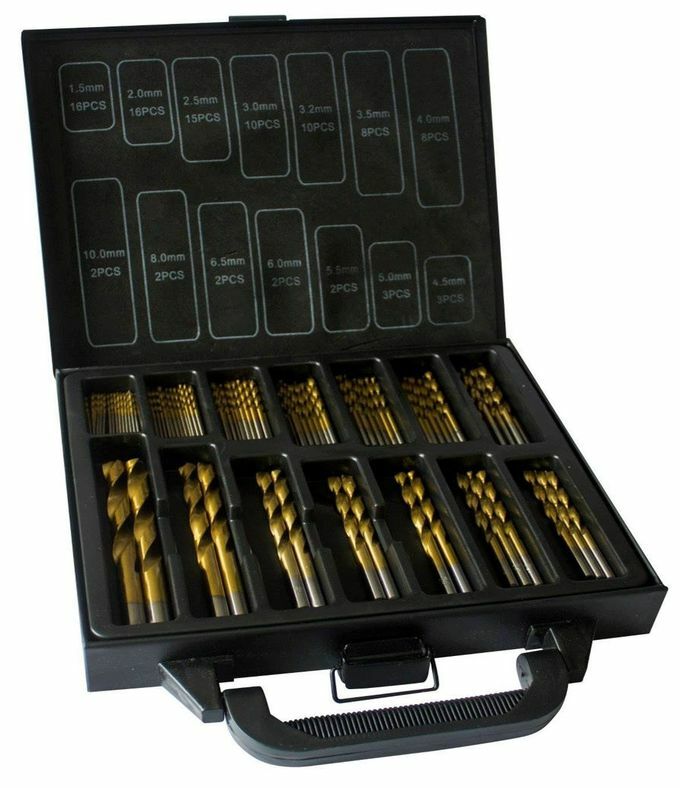 Can also drill alloy steel up to 900 N/mm, iron, non-alloy steel up to 900 N/mm, copper, bronze and cast irons. We keep our price at a reasonable and acceptable level. We provide products with good quality and competitive price. If you are interested in our products, I would be very happy to serve you. I am available between 8:30 - 22:00 (Beijing Time). Please reach me via cell phone or you can leave me message. The quality of our products are guaranteed. Quality control is our first priority. We have our professional QC staffs to test the products before packing. The defective rate of our products is in a very low and acceptable range. 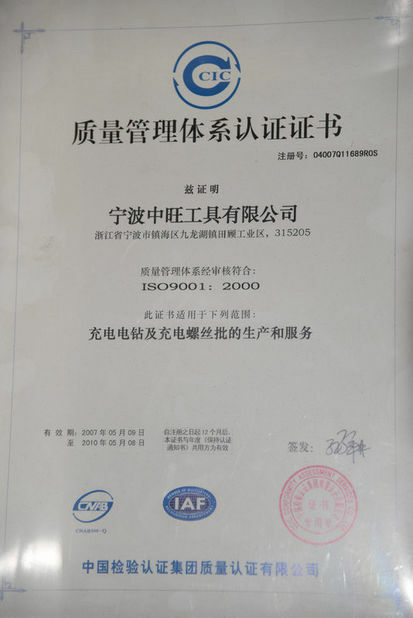 We will try our best to satisfy customer's requirements. As an OEM manufacturer, we can customize the products to meet client's needs. Meanwhile, we can provide several packing solutions for you. New design of packing is also welcomed. Please click CONTANTS on the main menu for details.